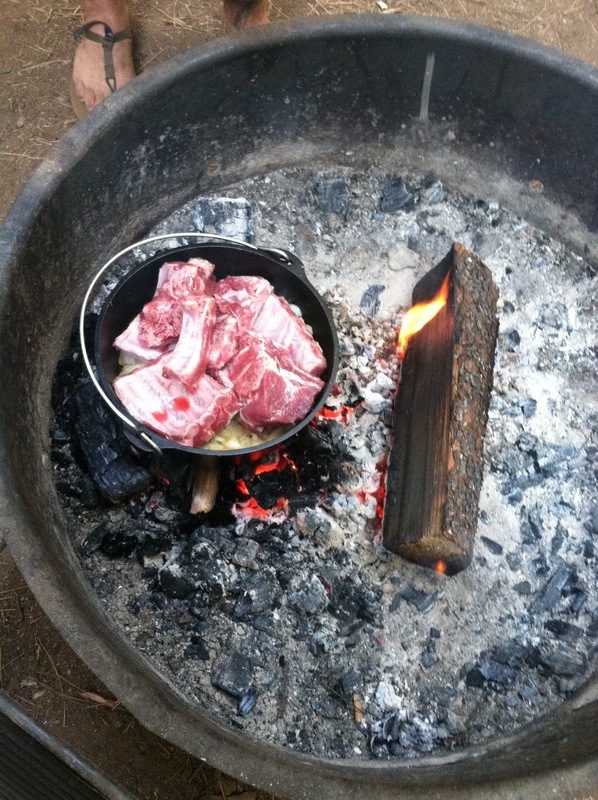 When you have the time, the space and a lot of hunger, get your Dutch Oven out and cook up a feast. It truly does take time, but it’s the best kind of time – time deserved – spent sitting around the fire and enjoying the evening light while you await the best camping dinner you may have ever eaten. While kicking back at Stumpy Meadows Lake, CA we whipped this up, served with some grilled corn and lots of banquet beer. 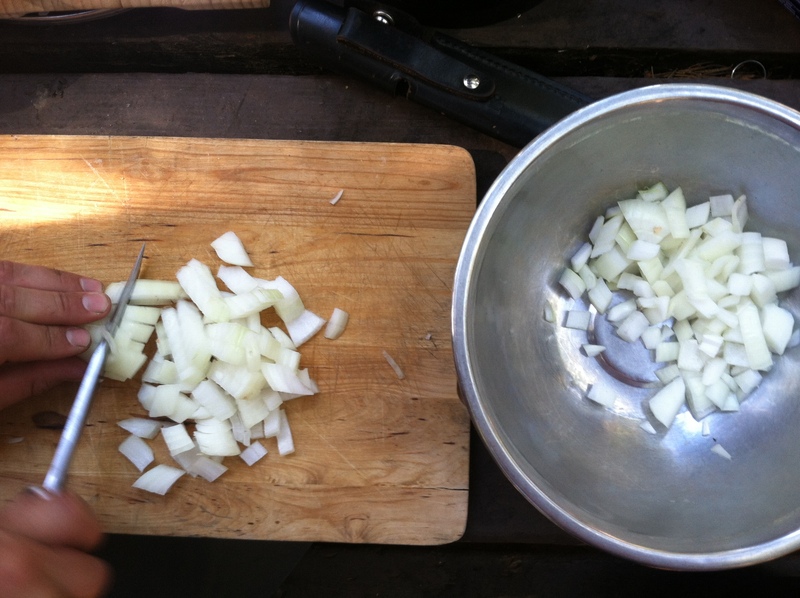 Chop onions, cook in Dutch Oven. Mix up everything else in a bowl. 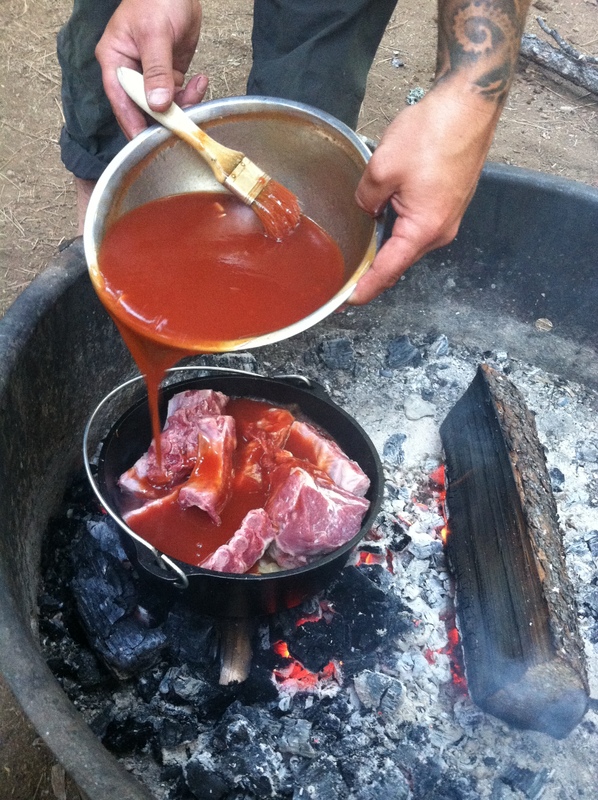 Once onions are a little browned, throw the rack of ribs in the Dutch Oven (cut up into pieces so it fits). Pour sauce over ribs and onions, mix it up, and let ‘er cook! Took us about 1.5 hours, depends on your fire though. It’s ready when the meat falls off the bone. Lastly, enjoy with friends!